What happens when one of YouTube’s most mechanical stars meets a piece of technology that’s trying to be human? The result, apparently, is “high-quality internet content.” That’s how Moriah Rose Pereira, known online as Poppy, describes her collaboration with Zo, a chatbot produced by Microsoft. 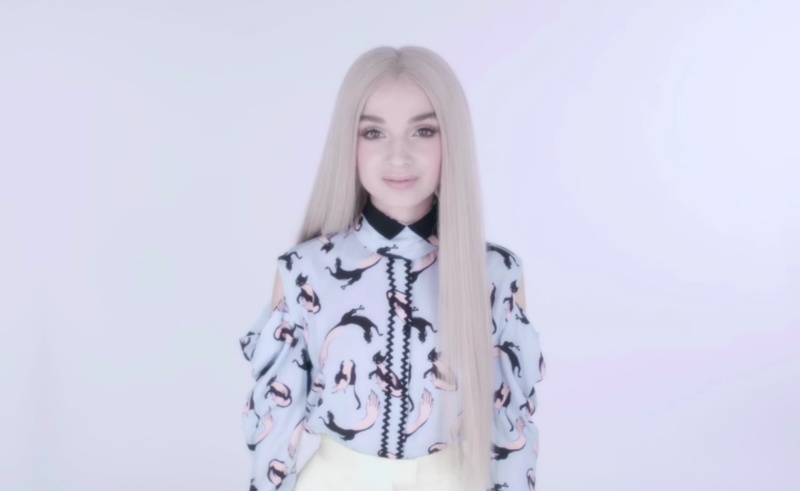 Each of the videos included in the partnership begin with prompts from Zo, which Poppy fashions into strange sketches. The enigmatic creator performs the scenes in front of a white background, a touch that is typical of her work. Zo, launched late last year, is an AI that shows up on Facebook Messenger, Kik, and GroupMe. Her homepage describes her as a bot with “#friendgoals,” though some outlets have wondered aloud whether the venture is just a front for a data-mining operation. The gig with Microsoft is the latest venture for Poppy, whose star has taken off over the past year. She launched her first music album in October and will screen a project at the upcoming Sundance Film Festival. On YouTube, her videos have received more than 243 million views.